On “Hilary Hahn Plays Bach: Violin Sonatas Nos. 1 & 2, Partita No. 1” the musician completes the cycle of Bach sonatas and partitas she began as a teenager. Igor Levit, piano Recorded in response to the sudden death of a close friend, Levit’s up-close meditations on life, death, and love strike an unforgettable chord. Wagner’s Solemn March to the Holy Grail from “Parsifal” distills to a private prayer under Levit’s hands, in a piano transcription by Liszt. On his Twitter, @igorpianist, he brings listeners into his world with videos taken from one end of the piano; “Life” takes that a step further, creating the sensation that the listener is seated at the keyboard alongside him. Magos Herrera & Brooklyn Rider To be a dreamer is now political. A Mexican jazz singer teams up with an American classical string quartet for an album that knows neither walls nor borders. Herrera’s smoky single-malt voice wends its way through the words of poets including Octavio Paz, Federico García Lorca, and Violeta Parra; on the wordless “Milonga Gris,” she vocalizes with the electric verve of a tenor saxophone. Boston Symphony Orchestra; Andris Nelsons, conductor The BSO and its music director continue their ongoing Shostakovich cycle with this handsome two-disc set recorded at Symphony Hall, in which the composer’s flair for the dramatic is given exciting, puissant treatment. Caution: Listening may result in your being rooted in place until finished, and both symphonies run about an hour. Skylark Vocal Ensemble With a program conceived for its international debut in London, the Boston area-based professional chorus explores Good Friday through musical lenses including traditional American hymnody and spirituals, motets by Poulenc and John Sheppard, and new sacred music. A masterful, warmly rendered amalgamation of time periods and styles. Nordic Affect New music played by Icelandic women, composed by Icelandic women (and one Estonian), for everyone. There exists no single right way to listen to it; like looking at a snowscape, you can focus on the individual flakes of sound or take in the whole vista. This unique quartet’s latest fusion of music and ecology irrigates and invigorates the senses. 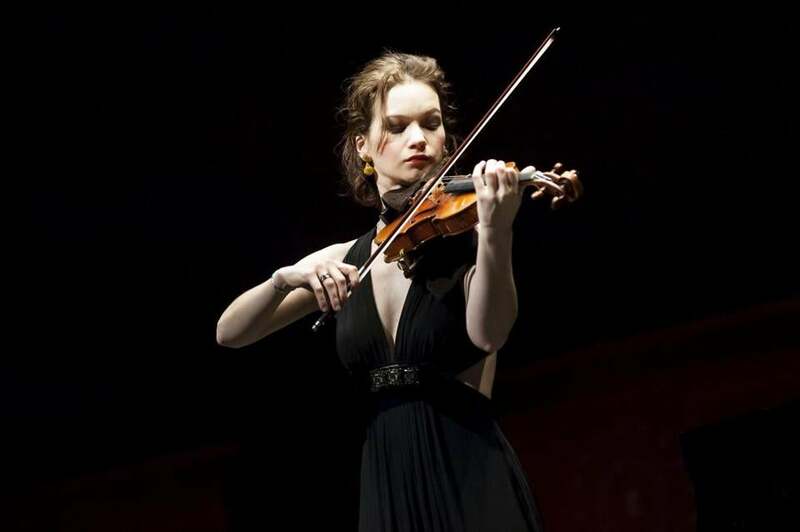 Hilary Hahn, violin It’s not quite right to say that the violinist is rekindling an old flame, completing the cycle of Bach sonatas and partitas over two decades after beginning it with her debut recording as a teenage star ascending. Through the years, Bach has consistently been her north star, and this recording feels like a homecoming. Hahn performs with her signature precise passion, touching many phrases with an almost Romantic glow. Colin Currie Group Handpicked by adventurous Scottish percussionist Colin Currie, the Steve Reich-specializing percussion ensemble presents an ecstatic rendition of Reich’s minimalist monument on its first album. With gleaming, clear overtones and smart dynamic shifts, this recording absolutely transports. Horror movies have long been on the vanguard of film music, and Ben Salisbury and Geoff Barrow’s score for “Annihilation” is as much a mutant as any of the creatures in the film’s dreamlike, spooky Shimmer. In this mindbending work of music for the screen, acoustic instruments and human voices masquerade as synthesizers, and the unstably pitched instrument called the waterphone opens up strange sonic dimensions. Kukuruz Quartet Recent years have seen a swell of interest in the work of Julius Eastman, a firebrand minimalist composer known for his provocative performances and unprintable piece titles, who died penniless in 1990. Barreling through the thunderous tintinnabulations of Eastman’s “Fugue No. 7,” “Evil [expletive]” and “Gay Guerrilla,” this Swiss piano foursome lifts his almost-lost music off the page, shouting and roiling. Lorelei Ensemble On its third release, the Boston-based women’s vocal ensemble interweaves whirling medieval and early Renaissance repertoire with silvery vocalises by Toru Takemitsu, and Japanese poetry-inspired works by Peter Gilbert that rustle and flicker with life. Harmonies flow with the grace of a nautilus shell. Contrary to the title, this album is here to stay.